Free credit report review and help with rebuilding credit. Our clients usually have BETTER credit after bankruptcy than they did before. We understand you're terrified - BUT you're not alone, we've helped thousands of people in your situation. Would You Like To STOP Creditor Phone Calls, Eliminate Debt, Stop Foreclosure, Save Assets, Stop Wage Garnishment And Bank Levy And Get A Fresh Financial Start? While Keeping Your house, Car, Retirement Accounts, And Other Property? call (877) 697-4345 so we can help get creditors off your back, and get you back on track. If Bankruptcy is the best debt solution, then we will show you how to make the Bankruptcy process easy and how to finish it with a good credit score that improves every month. We go over your paperwork with you and discuss your best options for debt relief. Eliminate credit card, medical debt and other consumer debt. Discharge older taxes. Did you know that once you file for Bankruptcy protection then collection efforts by your creditors must STOP? If any creditor keeps trying to collect, they are violating the law. Sometimes we can even make debt collectors pay you! Call us now at (877) 697-4345 or fill out the form on this page for your free consultation, debt review and analysis, if you are in need of a law firm that will give you an aggressive, courteous, and professional representation. Law Offices to Help You Get a Fresh Start and Build Credit TODAY! Our phones are answered by real people 24/7. Evening, weekend, and phone conferences available. Remove stress so that you can focus on the financial goals that matter to you! Call now and speak with one of our bankruptcy attorneys and we will fight for you to help you start over and build a new life without all the threatening phone calls. This consultation is absolutely free and we will answer any and all questions you may have. Call now - (877) 697-4345 for your FREE consultation. Get back garnished wages, stop vehicle repossession, and stop foreclosure. "The BEST! Our bankruptcy went very smoothly. Bennett Hartz was extremely knowledgeable, patient, and professional! It was such an easy experience. I was so scared at first, this group had me feeling like family in no time. Thank you Walker & Walker!" "Not only were they kind, but they charged thousands less than the other attorneys in the area. Everything was easy. When I was being harassed by creditors, Andrew took care of it! 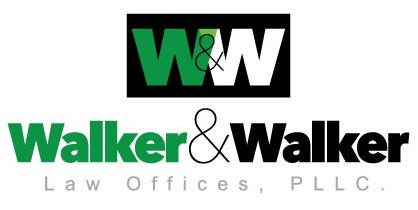 I would recommend Walker and Walker to everyone!"